You’ve got a fish on the end of your rod or pole and you’re bringing it in closer to the bank – now what? We think that you’ll probably be needing a net in order to get that find out of the water and onto dry land. What’s more, as a dedicated coarse and match angler, you’ll probably be after a keepnet in which you can retain your catch until the time comes for you to weigh in at the end of the day. This is why we have collected together a huge range of coarse and match fishing landing nets and keepnets, each of which designed with the discerning modern match angler in mind. All of the nets in our range have been manufactured to the highest standards to ensure that they can offer the levels of performance and fish care that you will have come to expect from a top quality net from Angling Direct. If you’ve come to coarse fishing from a carp fishing background then chances are that you’ll already be more than familiar with the concept of a landing net. Used to lift your fish from the water to the bank in the safest way possible, your landing net is an absolutely vital ingredient in your angling arsenal. However, although they share some similarities, for the most part a coarse net is significantly different from a carp net. 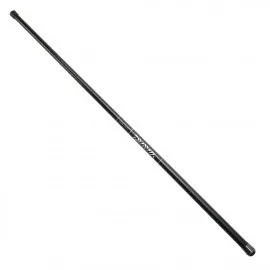 First things first, a coarse fishing landing net is much smaller than any carp net. This is because the kind of coarse fish that you’re likely to target are going to be significantly smaller than the kinds of double figure carp you might be aiming for when you’re carp fishing in the UK. Not only would your coarse fish look almost comically small in a large 42 inch carp net but it also means that you’d have to negotiate a large amount of wet net in the water. 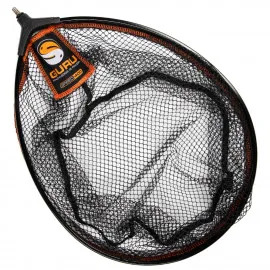 Net mesh can become very heavy when it is sodden with water, so limiting the amount of net-to-fish ratio is essential for maximising the control you have over the net in the water. Coarse fishing nets tend to be no larger than 60cm in diameter (just over 20 inches), with many significantly smaller. This is ample large enough to cope with all the kinds of coarse fish that you’re likely to land – including a full range of roach, bream, and chub as well as any other species you want to target. Coarse fishing landing nets are also significantly shallower than carp fishing nets – once again reflecting the needs of the fish in the water. What’s more, carp fishing landing nets are often used to temporarily retain fish to allow them to recover whilst you get your rods back out. This isn’t an issue with coarse fishing as, nine times out of 10, you’ll have a keepnet in which you can retain your capture. The vast majority of coarse fishing landing nets come in a rounded spoon shape. 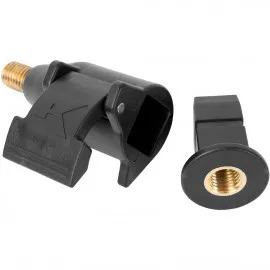 This makes it incredibly easy to scoop your capture out of the water, so you never need to worry about losing a fish in the last vital moments of a fight. As we’ve mentioned, the mesh of your coarse net will always meet the highest fish care standards available. However, you might notice that some landing nets use two different mesh types in their construction. This is because you are likely to be fishing in a venue with a current when you’re coarse fishing. As such, these nets have large hex mesh on either side, allowing for water to flow through the net without pulling or dragging it down stream. This enables you to better manoeuvre the net in the water, allowing you to enjoy exacting control over your capture. The central strip or base of the net will likely employ a much finer net mesh. This is because the finer the mesh of your net is, the more delicate it is on the scales and fins of your fish. 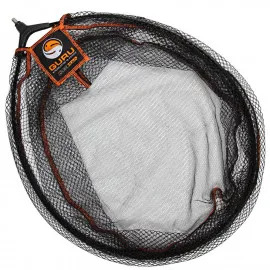 Your fish will naturally lay in the base of your net due to gravity, so by utilising this extra-fine mesh in this section of the net you can ensure that you are providing the best possible protection to your capture. You might sometimes find that the nets feature a rubberised mesh. This is most common on nets which can also be used for predator fishing, as predatory fish have sharp teeth which could easily cut through traditional mesh options. Rubberised nets, therefore, have a longer lifespan than traditional nets and they are less susceptible to damage from snags. 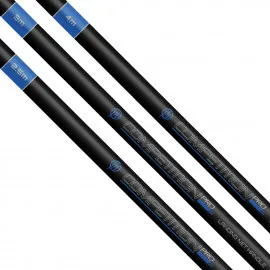 If you’re someone who regularly enjoys coarse or match fishing on challenging and snaggy venues, a mesh which has been rubberised might be the ideal choice for you. It is fairly rare in the coarse fishing net market to find a net which comes supplied with its own handle. This is why we, here at Angling Direct, have collected together a whole host of landing net handles in order to ensure that you can always find the perfect complementary handle for your net. 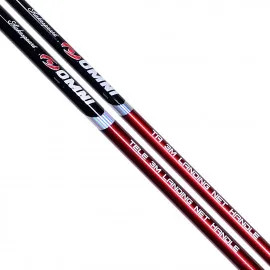 There are several things that you need to consider when you’re looking to invest in a landing net handle. First things first, you’ll want to look at the length of the handle. 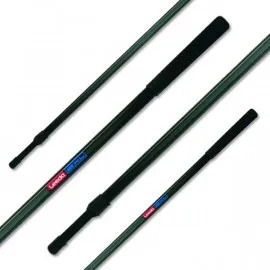 If you’re someone for whom the majority of your coarse and match fishing takes place with a pole then you’ll want to make sure that you’re using a landing net handle which is long enough – especially considering that some match poles can be up to 16m in length. Obviously, you won’t be trying to land your fish from this great distance but the less shipping in your have to do to get in reach of your landing net, the less exertion you’ll have to put yourself through to land your capture. This is why you’ll find some landing net handles that almost reach out to 6m in length – although the majority reach between 2.5m and 4m in order to give you the perfect combination of manoeuvrability and reach. 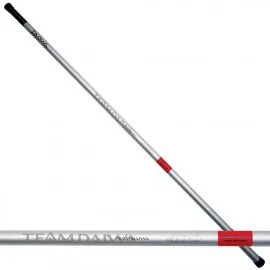 If you’re someone who mostly uses a coarse rod in your fishing, you might want to look at a landing net handle on the shorter end of this spectrum. Since these handles are longer than most cars, they usually come supplied in two or three sections. Some of these will be able to be fished with any section lengths, whereas others will only be effective at their full length. If you want a handle which offers you versatile length options then you’ll want to pay special attention to this. It is also worth noting the manner in which the sections attach together. Some will feature threads at either end, whereas others will simply slot together. Which you prefer will generally come down to personal preference and both ensure that you’re left with a strong pole. The next thing you need to consider is the material the landing net handle is manufactured from. As will most things in the tackle world, you’ll be interested in a handle that gives you a combination of light weight and strength. Ideally, you’ll be looking for a handle which is stiff or rigid, as this means that it will be comfortable under the weight of a heavier fish and you won’t be working to lift the landing net handle as well as the catch in your net. When you think about a coarse or match fishing net, chances are the first thing you picture is a keepnet. These are synonymous with coarse and match fishing and they pretty much do exactly what they say on the tin: keepnets allow you to retain your fish for the duration of your session. Although these nets are incredibly popular in this discipline, they are not without their criticisms and in the past the use of keepnets has been very contentious. This is because some anglers disagree with keeping a number of fish in a confined space, believing that can cause damage to scales of the fish as well as putting smaller fish at risk of harm when kept with bigger species. However, modern keepnets have undergone significant modification and all the nets you’ll find on our site more than meet modern fish care standards. What’s more, many fisheries have introduced dual net policies in order to prevent the problems associated with keeping larger species in the same nets as their smaller counterparts. It is worth bearing in mind that, no matter where you are fishing or what you are catching, you should not retain fish for more than six or seven hours. Some fisheries will have their own rules about the length of time that you can retain fish for, too, so please always check with your venue. Many keepnet manufacturers now also create nets specifically designed for fish of different sizes. This is why you’ll see a mix of carp keepnets and silverfish keepnets on our site. Carp keepnets are characterised by their large opening and rib structure. They will usually have a top opening of at least 50cm x 40cm, with internal ribs of similar size. These ribs will all be protected, too, to ensure that the carp cannot damage their fins should they hit into the framework of the net. The smaller silverfish and standard match nets will also have protected framework. However, the opening of these is more likely to be 45cm x 35cm – although you will find exceptions with larger openings. You might find that some keepnets use two different mesh types in their construction. 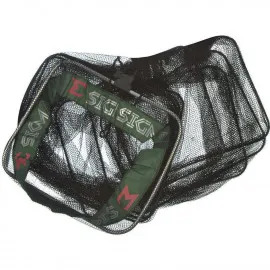 This operates similarly to the different meshes used in coarse fishing landing nets, where one mesh is wider to better allow water flow and one smaller for fish protection. In keepnets, it tends to be that some of the mesh used is not only ultra-fine but also practically opaque. This is a fish calming mechanism and it is used to ensure that the fish do not become stressed whilst in the net. The length of your keepnet can vary between 2m and 3m. The different lengths not only determine the amount of fish that you can retain at any one time but it also dictates the amount of space your net will take up in your swim. If you’re fishing from a smaller peg or in a more compact swim, you might want to use a keep net on the shorter end of the spectrum. Conversely, if you’re fishing in a larger swim or you’re planning on targeting lots of large fish, you might prefer a longer keepnet. Across the range, we only stock the very best quality nets from all the very best coarse and match fishing brands. This is why you’ll see Preston keepnets, Maver landing nets, and a whole host of Daiwa nets in our collection – as well as many others. These are all brands with a proven track record for excellence and they are respected by the finest match anglers in the UK for their continued quality. This means that, no matter which net you choose, you’re guaranteed to benefit from reassurance that a quality net provides when you’re landing and retaining your fish. However, if you would like a little more guidance when you’re looking into your investment then please do not hesitate to contact our customer services team. Our phones are staffed by avid anglers, each with their own area of expertise, and all are equipped to assist with any aspect of your order with us today. All conversations are strictly no obligation, so feel free to take your time to consider their advice before placing your order. Once you’ve purchased your landing net or keepnet, you might be interested in some top quality luggage in which you can store your gear. 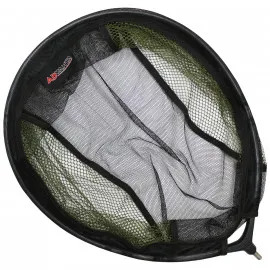 We also stock a range of net carryalls and stink bags, all of which are perfect for the storage of wet and smelly nets, as well as a whole host of other luggage options. You can find all the tackle you need right here, at Angling Direct.